Who loves mashed potatoes? We certainly do at our house! Although they are flavorful, they are also full of calories. Did you know there is an alternative, that tastes just as amazing and is actually healthy, using cauliflower? I love easy recipes like this, and I think you will too! Best part? We are making it in the slow cooker! Score!! 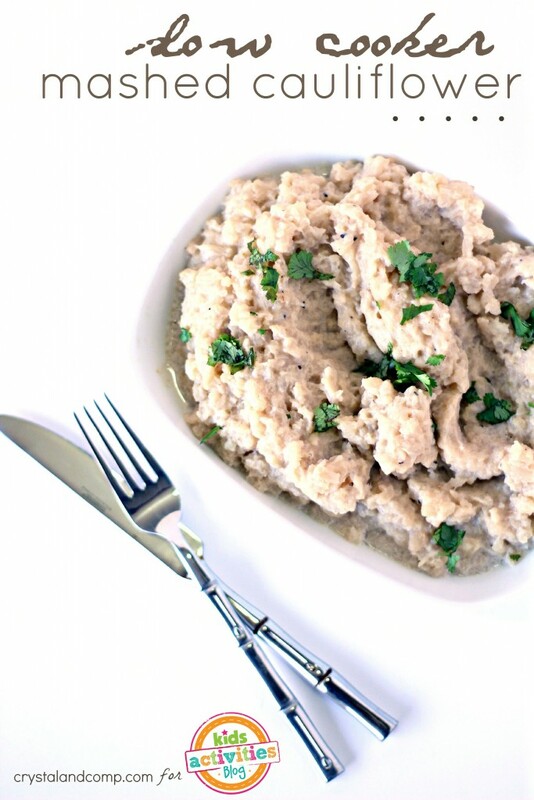 Let me show you how to make slow cooker mashed cauliflower. 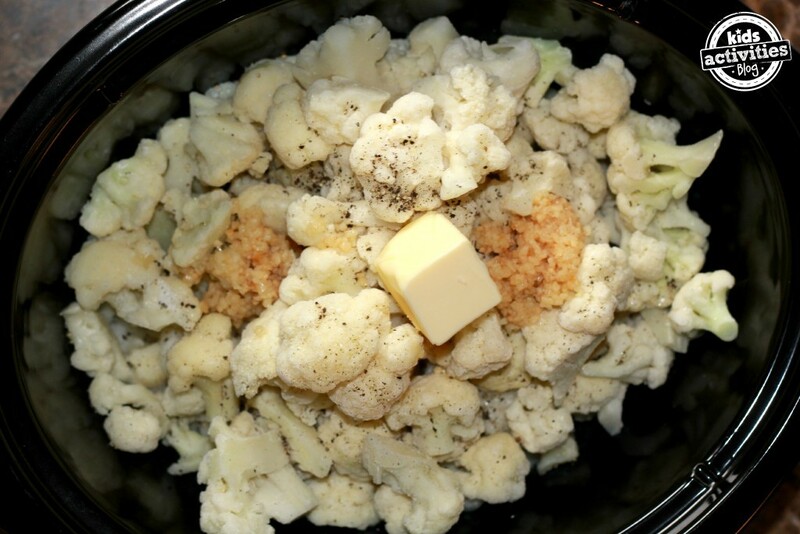 Toss the cauliflower in the slow cooker. Top with butter and minced garlic. Sprinkle in salt and fresh cracked pepper according to your liking. Pop a lid on it and cook on high for 2-3 and a half hours. Once done, drain the water. 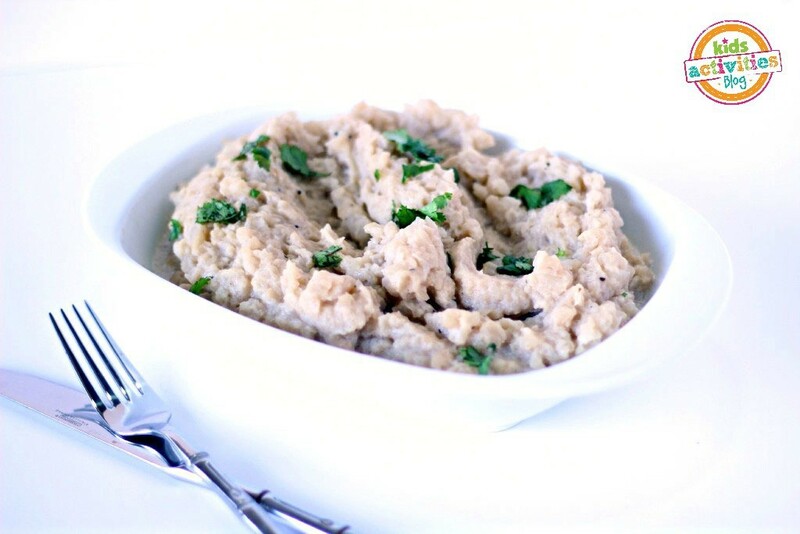 Use a hand potato masher to mash the cauliflower until smooth (or desired consistency). Add in the heavy cream and stir well. Taste. Does it need more salt and pepper? Add some if it needs it. Mashed Cauliflower makes the perfect side dish to add to your weekly meal plan for a weeknight dinner. It is also perfect for an upcoming holiday meal you’re preparing. Do you struggle with mean planning? I can help! I love teaching moms how to meal plan and get dinner on the table in five easy steps! Check out my eBook that includes a step by step guide and loads of resources and printables! 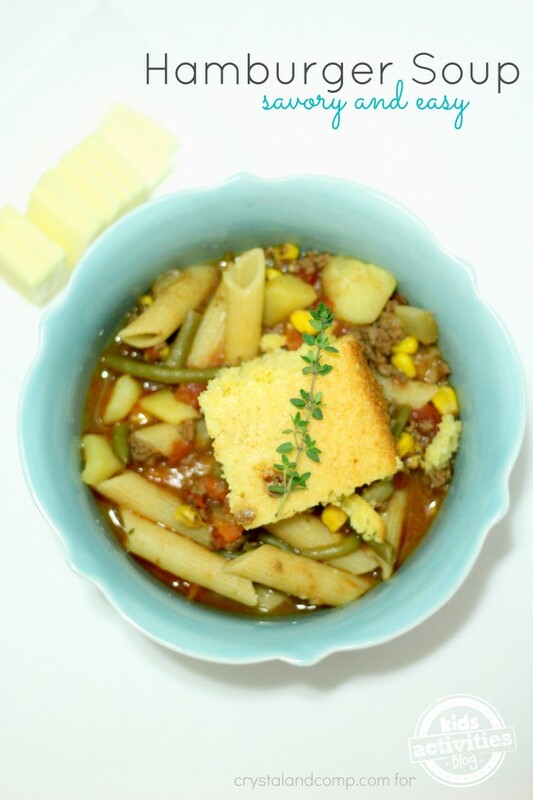 Check out more of my easy recipes that are perfect for busy families! Swing by and check out Crystal, a Dallas Mom Blogger, who runs the mommy resource and solution site Crystal & Co.! She loves to share activities for kids, teach busy families how to meal plan and share real easy recipes. She is a fast-paced mom of all boys, five to be exact (including twins), who is in the trenches of homeschooling. Are you tired yet? Previous Post: « He set up a camera to watch birds hatch, but caught THIS instead! Wouldn’t it just as healthy if you left in the potatoes and omitted or substituted something nondairy for the heavy cream and butter? I know people who love mashed cauliflower but I prefer the taste of potatoes.